President Yoweri Museveni has explained to the people of Northern Uganda and the country as a whole that the proposed Land Amendment Bill will quicken the time taken by government development projects to kick off and also ensure that government is not cheated in the exercise of land compensations. 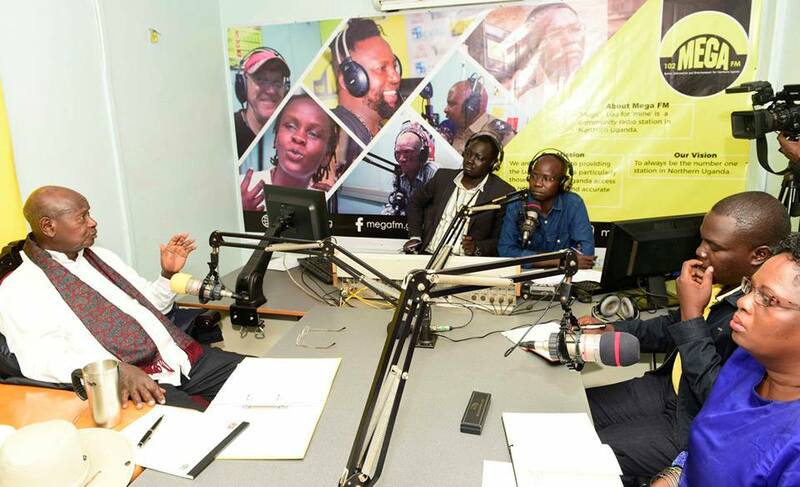 The President made the remarks last evening in a live phone-in radio talk show hosted by Mega FM radio station that is based in Gulu Municipality. The President is currently in Northern Uganda to sensitize the people in that area about the proposed Land Amendment Bill. Accompanied by Lands, Housing and Urban Development Minister, Hon. Among Betty, that of Disaster Preparedness and Refugees, Hon. 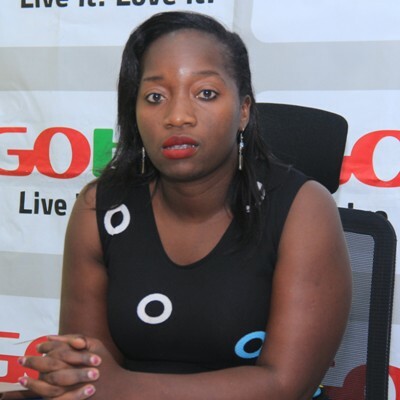 Hilary Onek, of State for Northern Uganda, Hon. Kwiyuucwiny Grace and NRM Deputy Secretary General, Mr. Richard Todwong, the President said that the Land Law needs to be amended to stop stalling government development projects like the railways, roads and water pipes, among others. “If you look at the constitution of our neighboring countries, none has land laws like ours. In those countries land belongs to government,” he said. 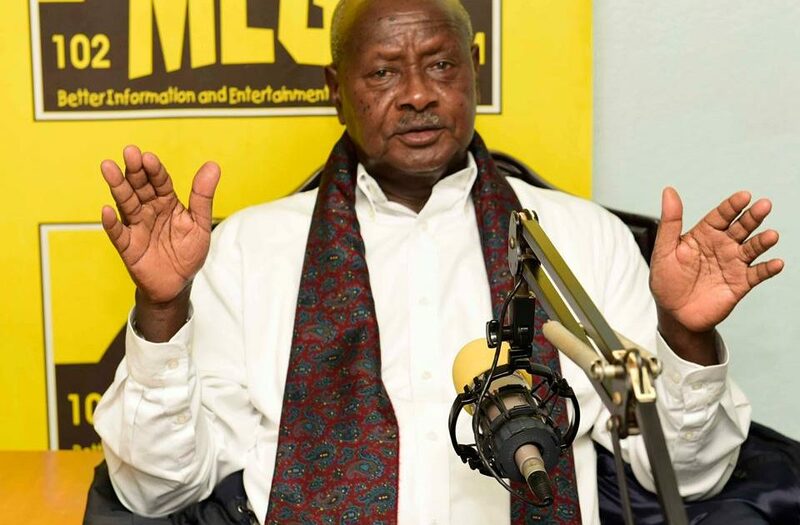 Mr. Museveni said he was on a campaign to educate the public about the proposed Land Amendment Bill because media houses allowed opposition leaders to spread lies to the public; allegedly that the government intended to steal people’s land. 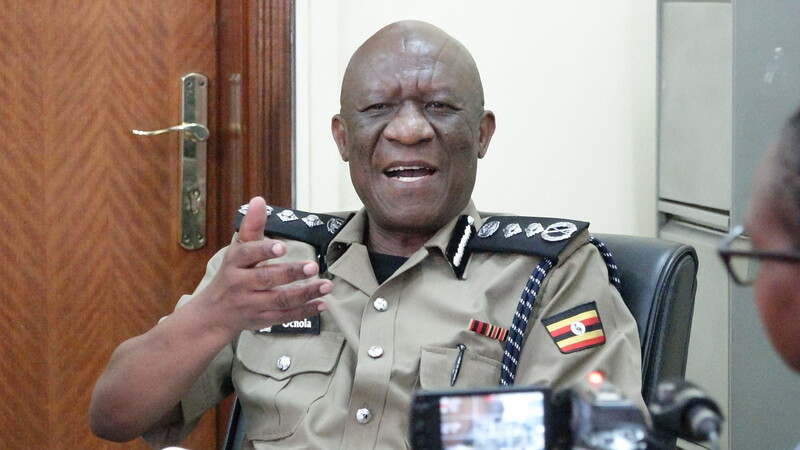 “I have not seen a country captured by lies like Uganda and this is partly because of the radio stations which do not believe in quality control for they allow all sorts of rubbish to go over the radios and allow these lies to go all over the place,” he said. President Museveni informed the people that before colonialism, kings and chiefs controlled land in Uganda adding: “individuals did not own land. During the time of colonialism, land was divided into two categories; Mailo land in parts of Buganda, Tooro, Bunyoro and the crown land,” he said. He also said that the British colonialists gave 8 square miles of mailo land to 1000 chiefs in Buganda and collaborators with the British while the crown land was given 9000 square miles and belonged to the Queen of England. When Uganda got independence, he said, mailo land stayed and what was crown land became public land meaning that the Republic of Uganda controlled it. Mr. Museveni said that NRM cannot steal land from the public because the Movement was the first government in the history of Uganda, from the time of kings, to give land to citizens. Before colonialism, he further explained, land belonged to the kings and during colonialism it belonged to the Queen of England. “When the NRM government came into power it said Mailo land stays but landlords stop disturbing the tenants. We also said that public land does not belong to the government but people living there. The only land that stayed with government were the ranches, government projects and health centers,” he said. Citing an example of Rwakitura, his upcountry home, President Museveni said that during colonialism that land belonged to the Queen and after independence it belonged to the government of Uganda but after 1995 it now belongs to him. He said that when making the constitution, the people used logic and knew what they were doing. He explained that when the makers of the constitution saw, for example, that for a cattle keeper to sell his milk to Kampala, he would need roads, they provided within the law, for government to take a portion of someone’s land but also compensate the person for that land for it to be able build a road. “With the proposed amendment, we are saying that if you are not satisfied with the compensation, there will be tribunals to settle disputes but in the meantime take the money given to you and if the tribunal directs that we add to you more money, government will do so but without you stalling government work,” he said. The President said that when government compensates someone, he is not the one losing but rather the whole country, as the compensation money, would have been used for some other projects. 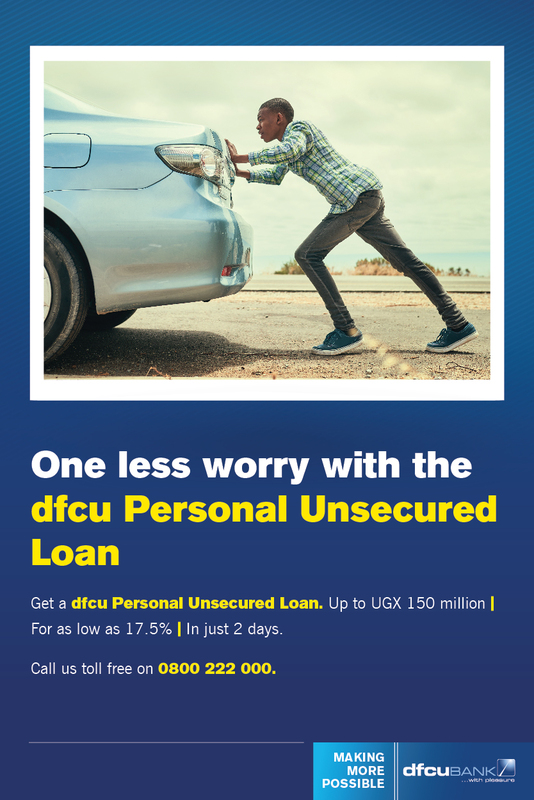 “I pity Uganda. It had collapsed and we spent our youth time fighting to bring it back to where it is now. If you have got bogus leaders who see this and say government wants to steal land and go to radios that multiply this nonsense, then the future of your country will be in trouble and I cannot be part of it,” he said. President Museveni said government could not cheat people when compensating them because before compensation, it finds out the market price of land in an area and then adds an extra 30% to the price of the land. Other allowances, he added, are also included such as the disturbance allowance, the crop and property value allowance, in case the land had crops or buildings on it. “When government compensates you, you get much more money than the original value of your land. I have seen stories in the media about people who have ran away from the villages to marry more women after being compensated for the road in Kanungu and the railway in Tororo,” he said. President Museveni who is also the Commander In Chief of the Uganda People’s Defense Forces (UPDF), used the occasion to warn Army Officers that he would imprison any soldiers cited in land grabbing. He President urged local leaders to write reports about incidents where Army Officers have been cited in land grabbing and forward them to him. “There are so many avenues to report those people but I have not received a single report from any MP, Local Council 3 or 5 Chairperson, yet you elected these people as your leaders,” he said. President Museveni dispelled and described as lies, the rumors that there are hidden amendments to the land law and that the public has not been told about by government. He reiterated that the proposed Land Amendment Bill only seeks to make it easier for government to acquire land for public projects. “While on Unity FM Radio Station in Lira District on Tuesday night sensitizing people about the proposed land amendment bill, one lady called in during that show and asked if there was another proposed amendment to the land law and I told her there was none because all other issues have been addressed before,” he said. The President explained that the proposed amendment to the land bill does not address the issue of land for investors like some people are saying. “Land for investors is totally different. We cannot acquire land for investors compulsorily; government cannot acquire land from one private person to another,” he said. He explained to the people that the only way to acquire land for investors is through persuasion: willing seller and willing buyer and, therefore, government cannot give investors land through compulsory acquisition. President Museveni also cautioned the public against evil-minded leaders who are anti-development. He said time and again people have questioned his support of investors getting land yet the investors create employment opportunities for the public when they set up their industries and also the taxes they pay are used for government projects such as roads. “The Bible says that you shall know them by their fruits and you can see the fruits of the opposition- lies and sabotage of the progress of our country,” he said. Mr. Museveni cited countries, such as the United States of America, that have managed to become rich because of the private sector. “To have leaders who do not know why a President should be the main mover of the private sector, is a disaster,” he noted. He wondered how the opposition would manage to run the country if they got into power if they cannot be trusted with telling the public the simple truth. On the issue of wealth creation, President Museveni called upon the people of Northern Uganda to fight poverty in their households. He said that while development is the duty of the government, wealth creation is personal. “There is a lot of development in Gulu. When I was coming here, I saw the road from the barracks via Acholi Inn, has been redone. 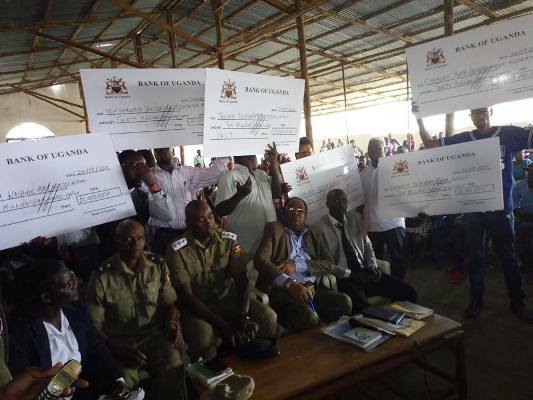 Of course the main roads from Nimule to Kampala have also been redone and new roads are going to be constructed as all districts and town councils have been given new road equipment from Japan to work on the roads within the district,” he said. He emphasized that the public should adopt the 4-acre production model that the NRM has been teaching since 1995, to fight household poverty. “Use one acre for coffee or tea, another for fruits, the third one for food crops and the last one for cattle, piggery or poultry,” he said. President Museveni also urged families to desist from fragmenting their land saying that it should be owned jointly by family members as a consolidated unit and only share the proceeds from it.